Katelynn Bennett sold her 277-pound grand champion market hog to the Crane Room Grille, represented by Valerie Measel, for $9 a pound. 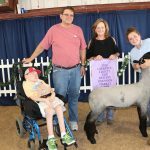 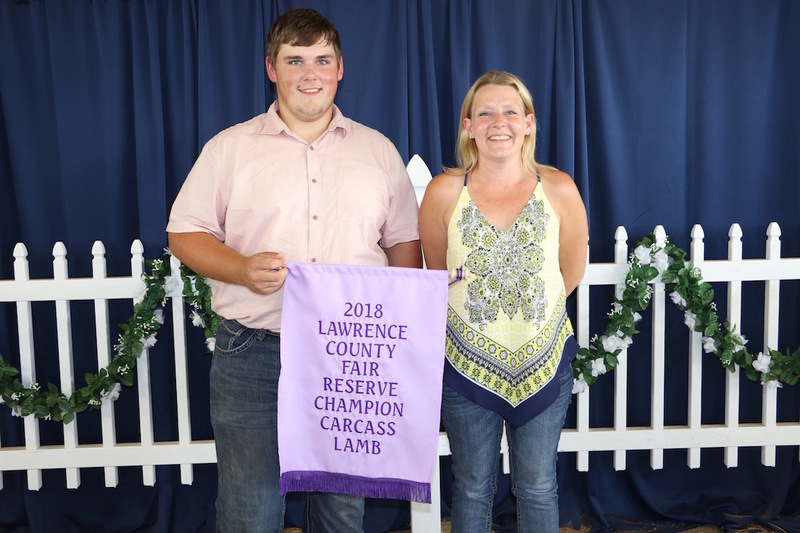 Elon Horchler, represented in the sale ring by his sister Mattie, raised the reserve champion market lamb, weighing 130 pounds. 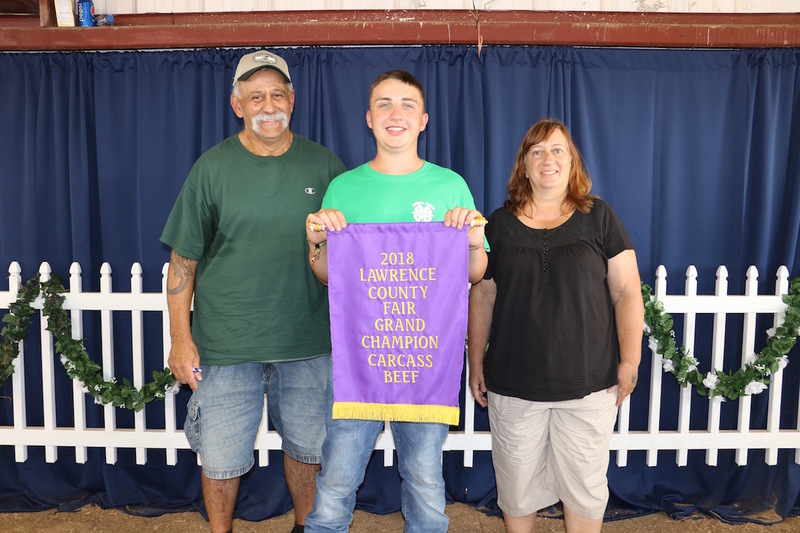 The Sniezek family — Joe, Lynn and Jonathen — paid $7 a pound for the champion. 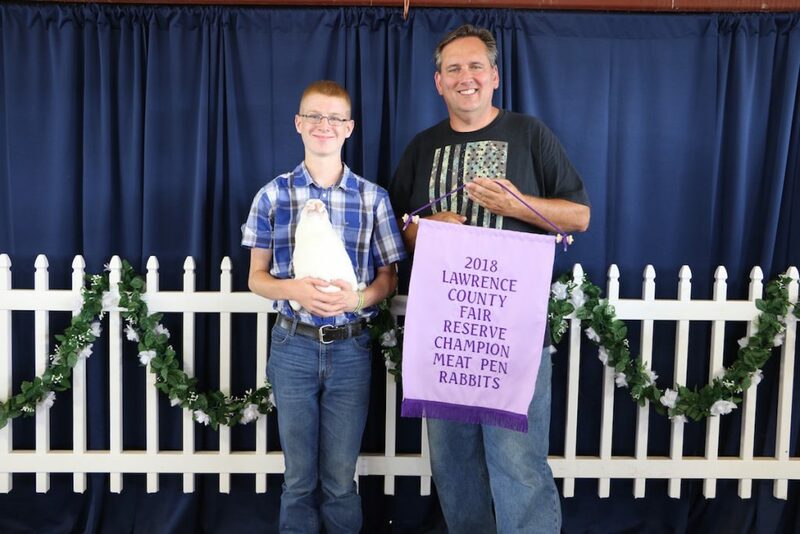 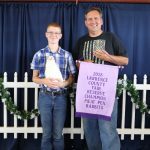 Henry Ochs’ reserve champion pen of rabbits, weighing 13 pounds, sold for $17.60 a pound to Volant Stables, represented by Rob Harding. 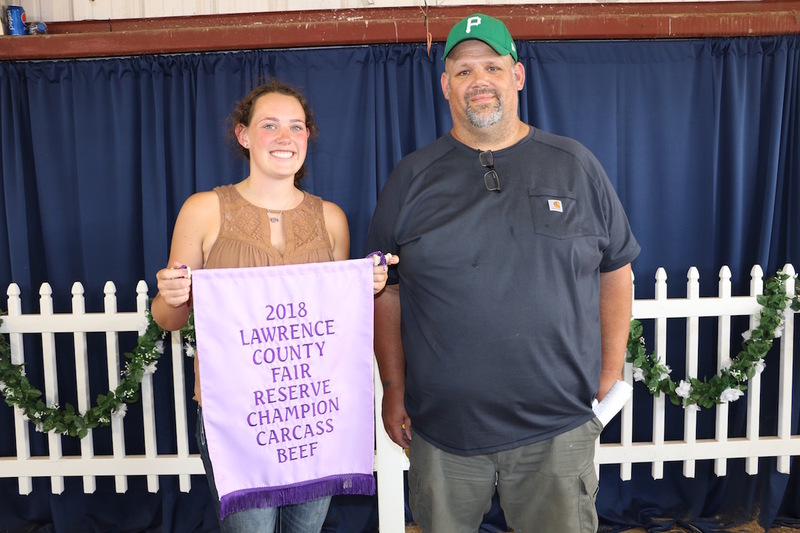 Gracie Enscoe’s reserve champion steer carcass, weighing 697 pounds, sold for $2.15 a pound to Pizza Joe’s of Portersville, represented by Jason Peffer. 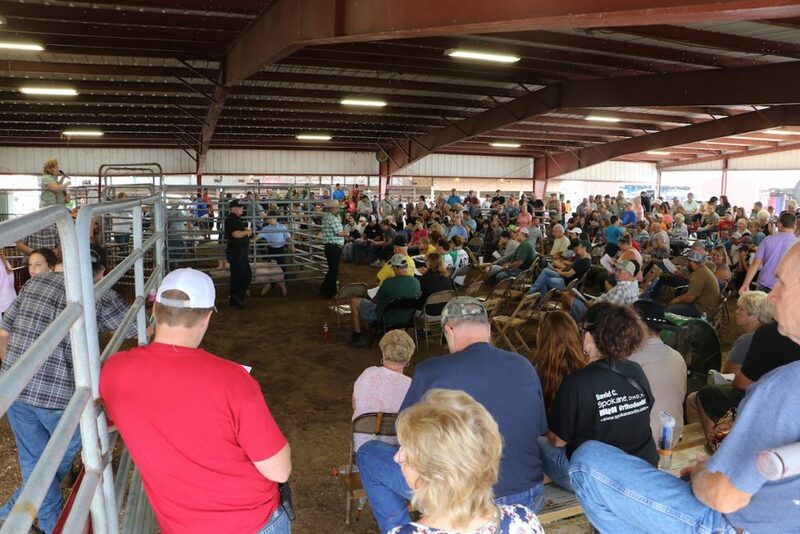 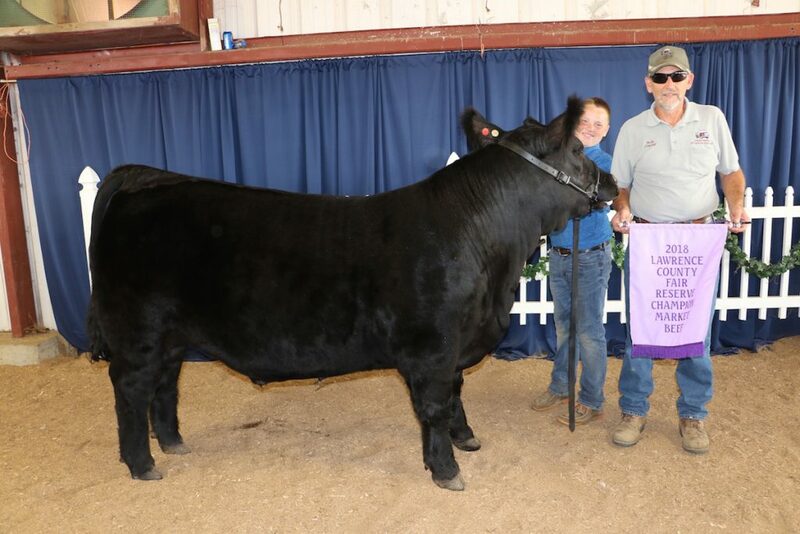 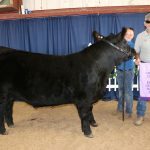 Connor McCrumb sold his 1,341-pound reserve champion steer to 422 Landscape Supply, represented by Bob Buchowski, for $2.35 a pound. 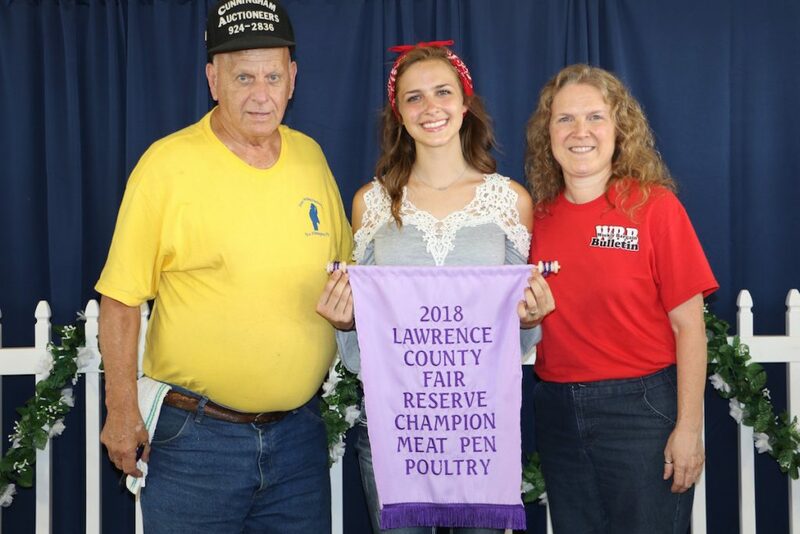 Kyle Allison’s grand champion pen of meat chickens, weighing 19.45 pounds, sold for $19 a pound to Almar Enterprises, represented by Mariann Ritchie. 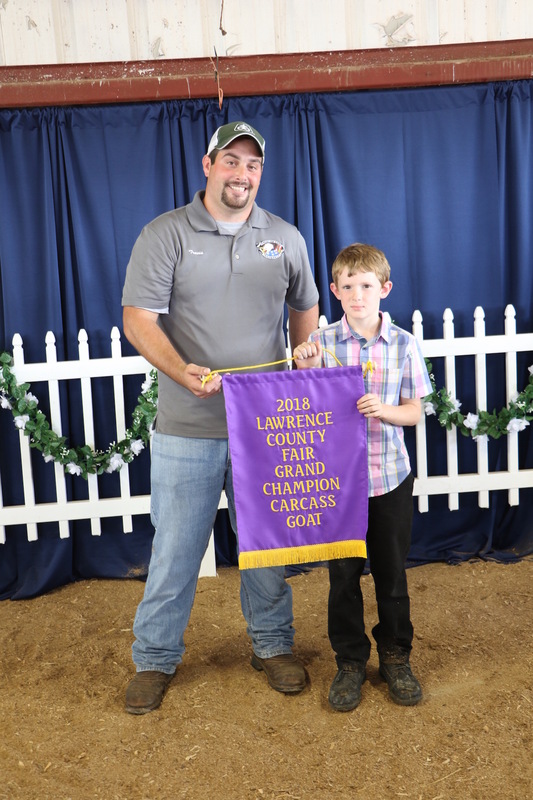 Shane Clark raised this year’s grand champion steer carcass, with a hanging weight of 707 pounds. 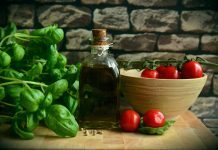 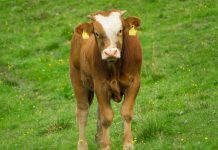 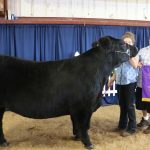 It sold for $2.40 a pound to Phil and Cheryl Vanasco. Bayleigh Miller’s 1,344-pound grand champion market steer sold for $2.75 a pound to Beatty’s Country Market, represented by Doug Beatty. 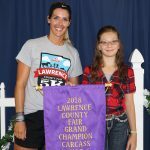 The Mohawk Pizza Joe’s, represented by Emily Allison, paid $4.75 a pound for the grand champion hog carcass weighing 150 pounds, raised by Lydia Fair. The reserve champion pen of chickens, weighing 16.031 pounds, sold for $7 a pound to Mark (not pictured) and Joy Beers, Weekly Bargain Bulletin, and Mark Cunningham Auctioneer, represented by Rodger Swogger. 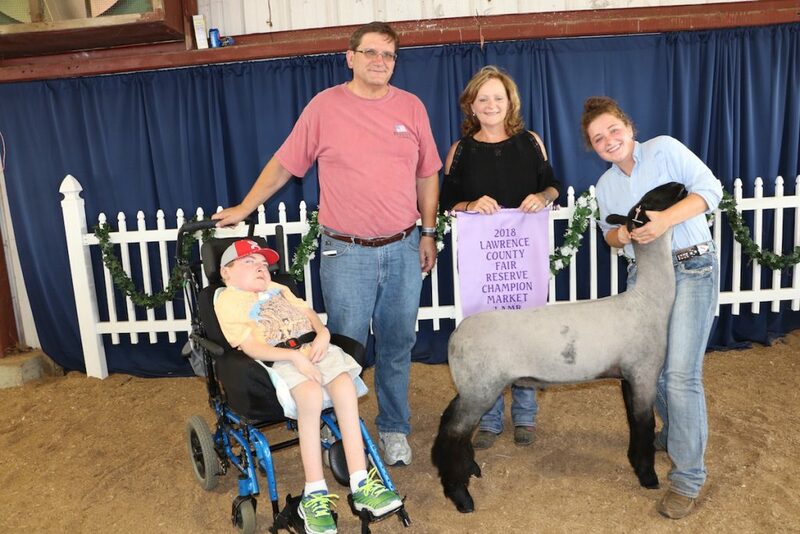 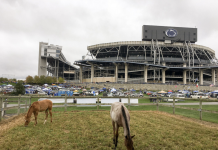 Jade Horter raised the champion pen. 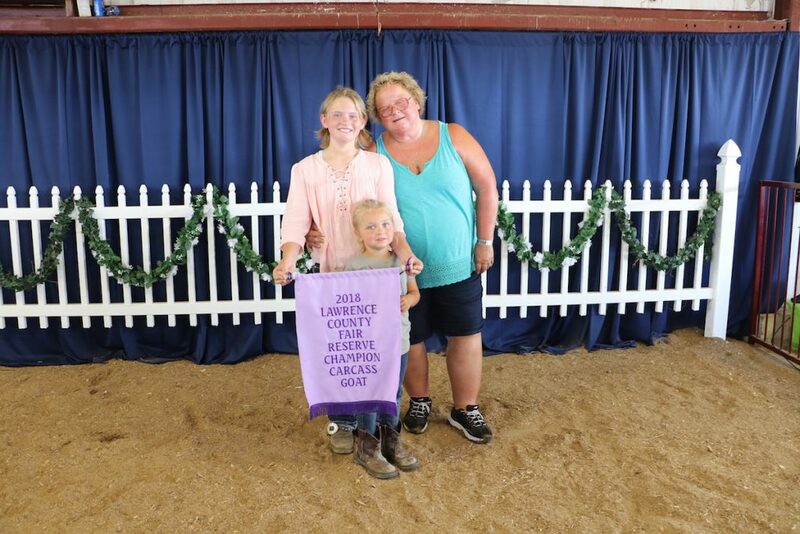 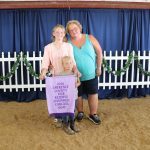 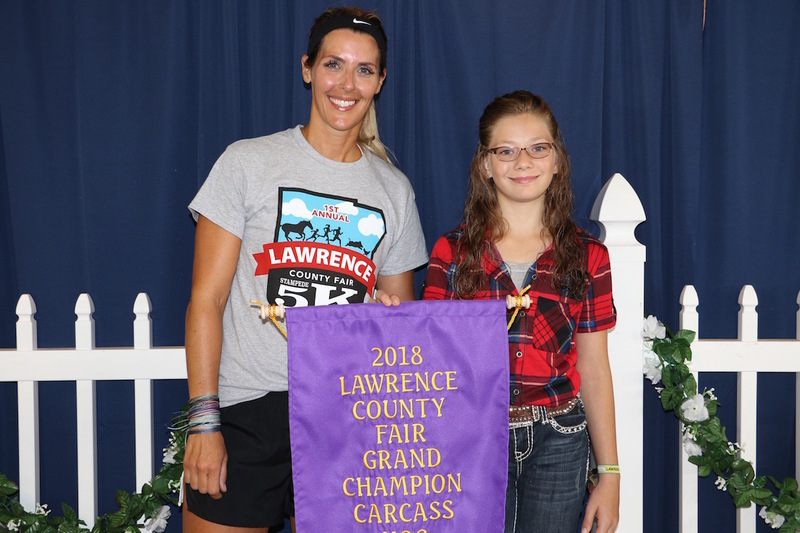 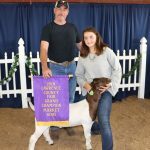 Alexis Hufnagel raised the reserve champion goat carcass, weighing 41 pounds, which sold for $8 a pound to GWS Trucking, represented by Donna Stickle and her granddaughter Kenna Hufnagle. 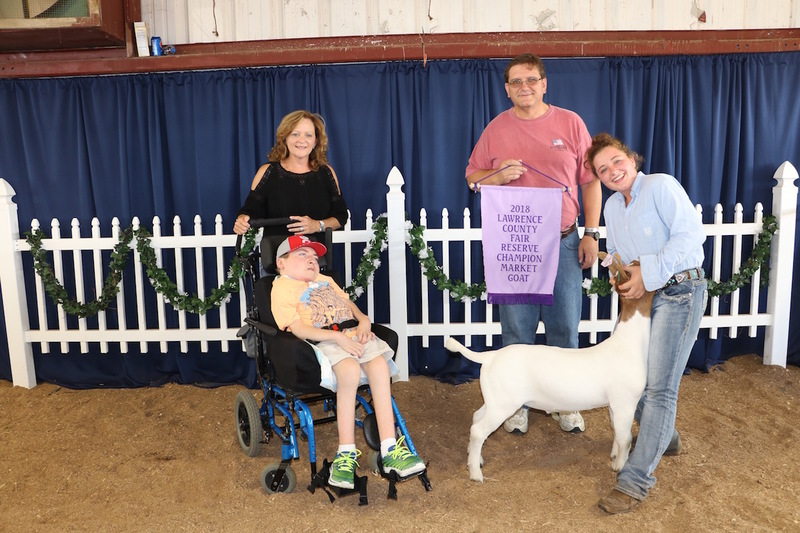 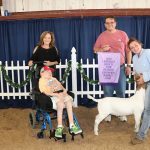 The Sniezek family — Joe, Lynn and Jonathen — paid $5.50 a pound for Elon Horchler’s 84-pound reserve champion market goat. 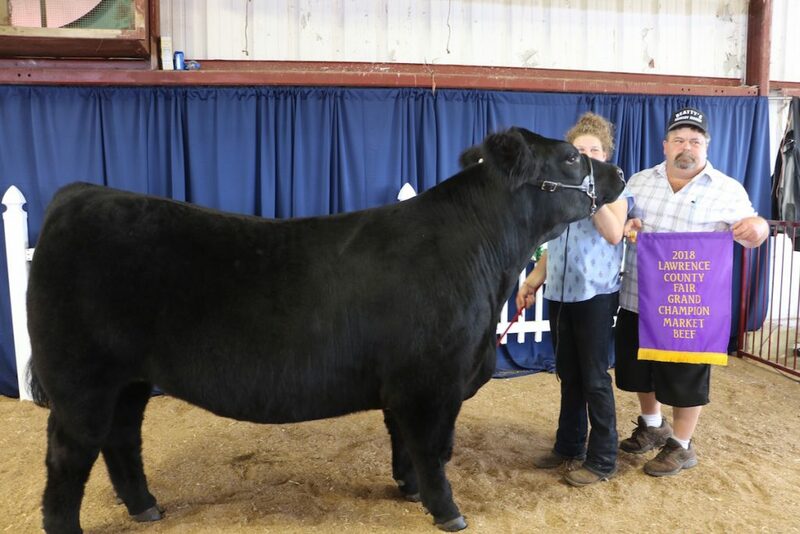 Representing Elon in the sale ring was his sister, Mattie. 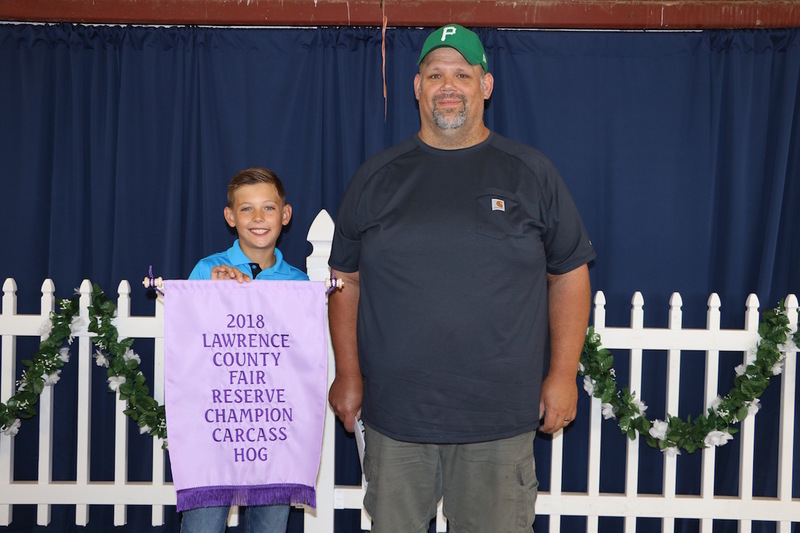 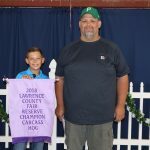 Tyler Allison’s 170-pound reserve champion market hog carcass sold for $3.50 a pound to Pizza Joe’s of Portersville, represented by Jason Peffer. 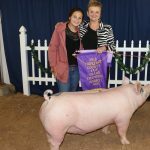 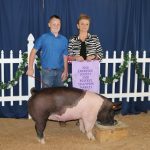 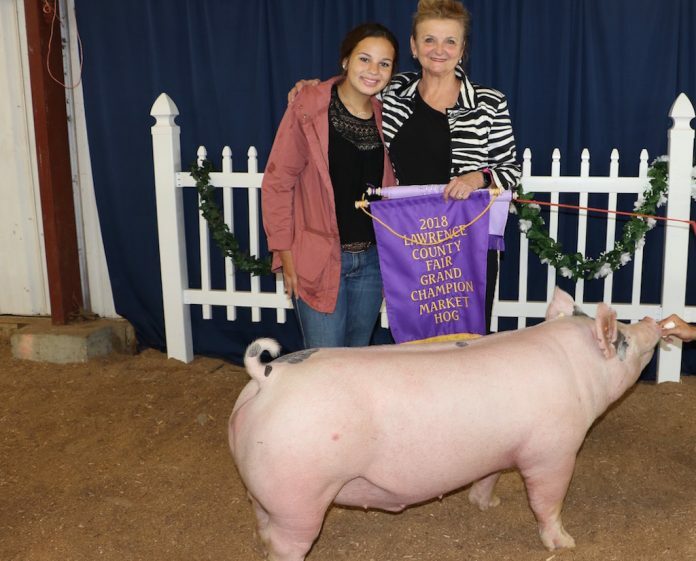 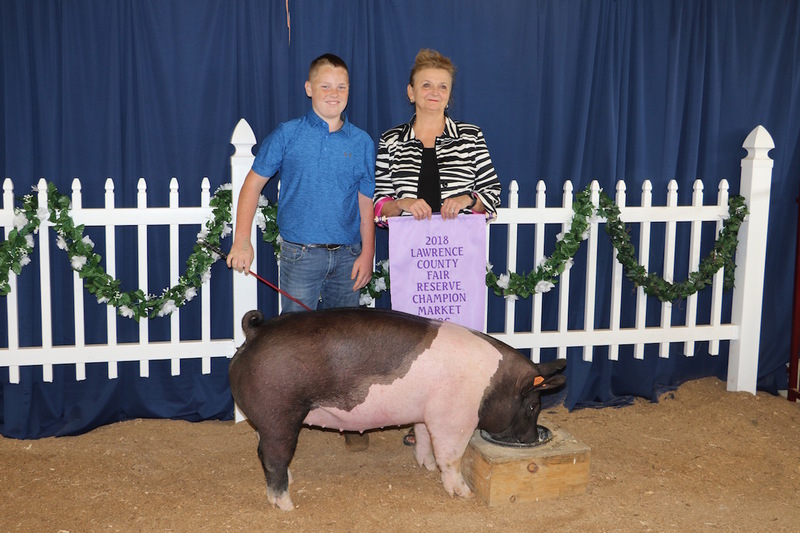 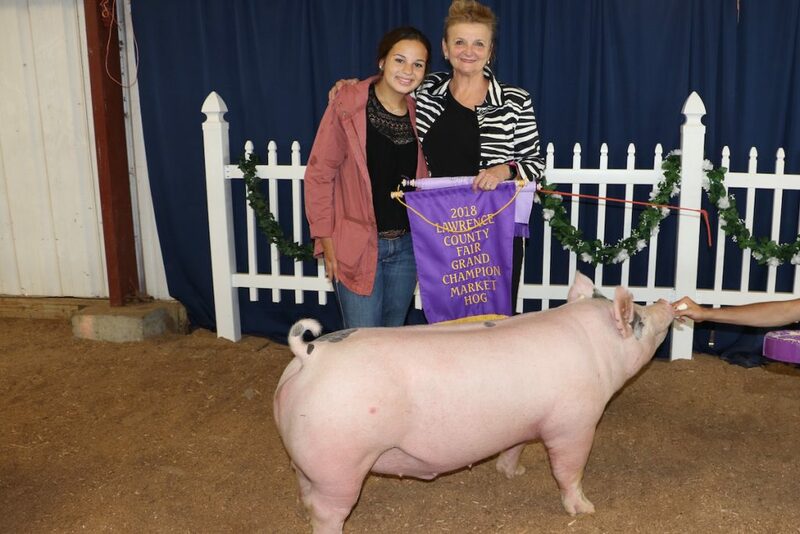 Crane Room Grille, represented by Valerie Measel, paid $9 a pound for Connor McCrumb’s 257-pound reserve champion hog. Wyatt Dean’s reserve champion lamb carcass, with a hanging weight of 60 pounds, sold for $7.50 a pound to WilCo Equipment, represented by Michelle Wilson. 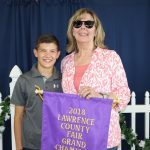 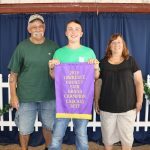 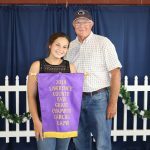 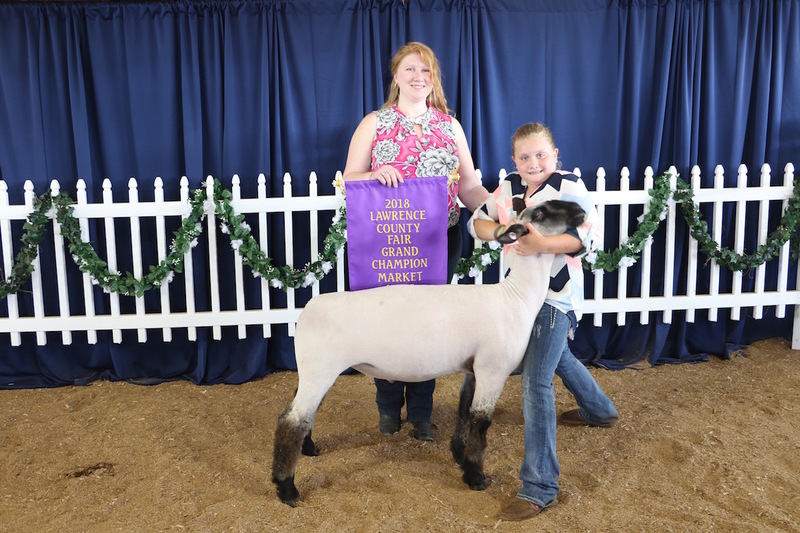 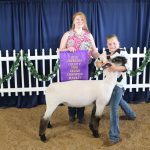 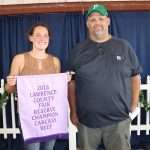 Allison Musser sold her 136-pound grand champion lamb to Howard and Sons Meat Packing and DJ’s Smokehouse, represented by Nicole Howard. 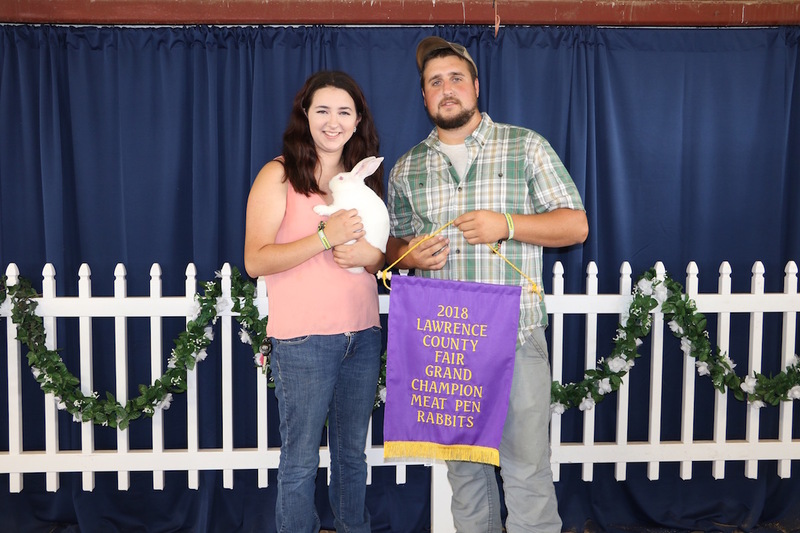 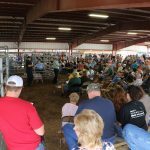 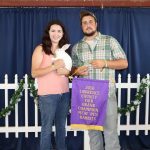 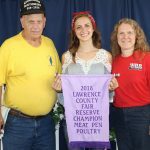 Emma Hall raised the grand champion pen of meat rabbits, weighing 12.212 pounds, which sold for $30 a pound to Ryan Guidice. 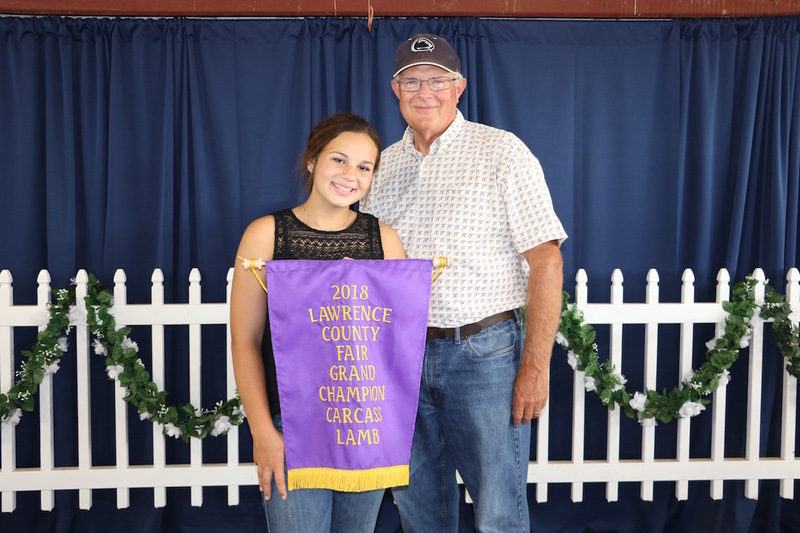 The grand champion lamb carcass, raised by Katelynn Bennett, sold for $6.75 a pound to Don (pictured) and Edy Hoye. 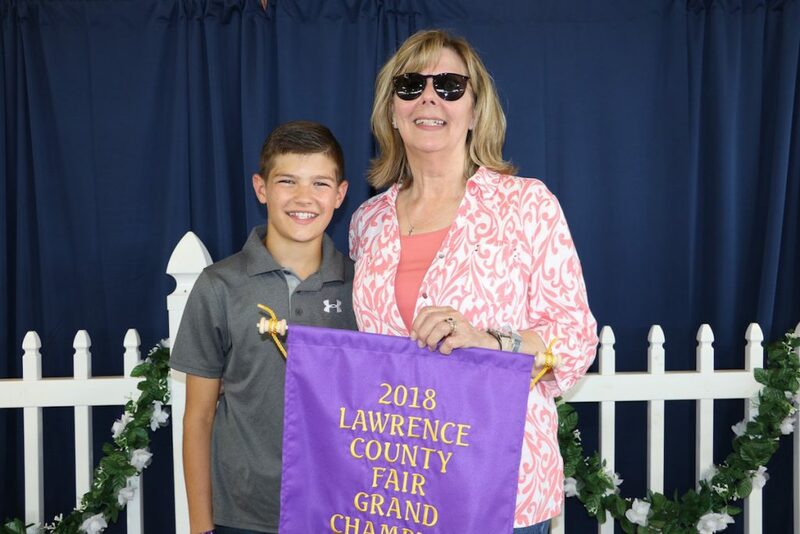 The hanging weight was 75 pounds. 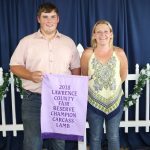 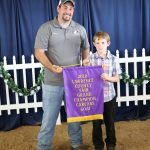 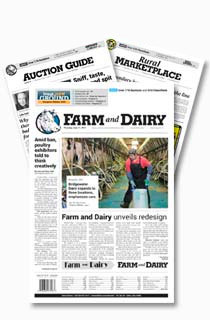 Travis Stewart’s 33-pound grand champion goat carcass sold for $10 a pound to American Crop Insurance, represented by Travis Book. 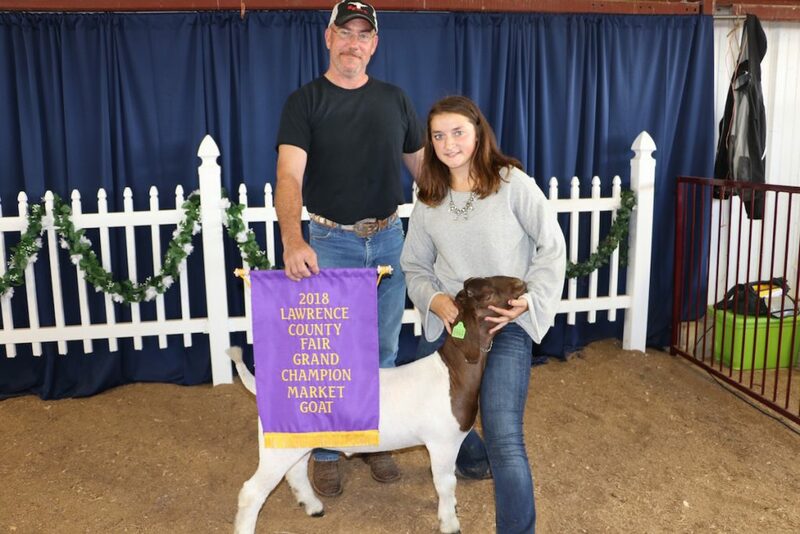 Adelynn Pfaff raised the 87-pound grand champion market goat, which sold for $7 a pound to the New NW Sales Co., represented by Ken Mezurek.